2015 saw the 'Big Bang' for local government in Northern Ireland with its councils merging to create 11 Super Councils. The concept is that bigger is better and that costs will come down under the new brands but with change comes cost and controversy. Two councils that merged in 2015 were North Down Borough Council and Ards Borough Council. 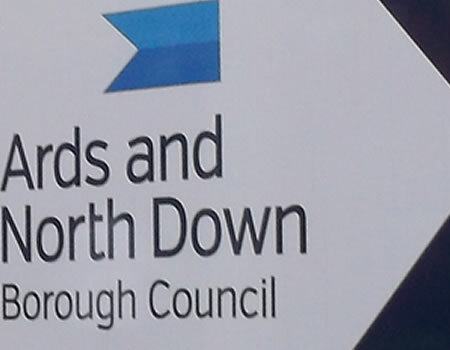 with many expecting that the new council would be called North Down & Ards Borough Council. There was a outcry when it emerged that the council had engaged consultants who proposed that the new council be called East Coast Borough Council and that councillors of the new council had voted in favour of it. Following the failed rebrand the council decided to opt for Ards and North Down Borough Council which meant that the biggest decision of this council in waiting was overturned even before the big change over date. Having decided on the name time to move onto corporate identity, which is in essence its logo, its branding and its website. Well given the tight constraints on finances at the moment surely the council will simply use one of the two existing and fully functional sites at its disposal, minimize cost of its new domain name, site and maintenance? Ards and North Down decided to spend a massive twenty two thousand eight hundred and seven eight pounds, £22878.72 to be exact to build their new website with a further £2640.00 on website support, £3060 on hosting and server support and £190 on domain name registration - ardsandnorthdown.gov.uk. The website sorted, how much did the new council pay to have someone tell them to call themselves Ards & North Down Borough Council? How much did the new council pay for their new logo and branding? What do you think of the council's new branding? Some people we spoke to thought that it was the result of a children's competition, you know 'Marble Arch by Rodney Trotter aged 15 1/2'. So how much was paid including consultancy fees for the council's new logo and name? Well the Council awarded a contract worth £23,392.50 for branding and corporate identity work, this covered research and consultation on the new name and research, consultation, design and artwork for the new corporate identity. Well their new corporate identity is in the photo displayed do you think its worth over twenty three thousand pounds? Lets hope that the later decisions of the councillors to the new Ards & North Down Borough Council are not as poor as these ones!